If you are developing a project and you need to buy a domain name, but you are not ready to start using it just yet and also if you are able to get a good domain name on sale or with a coupon that you are going to use for later. Of course, there are other reasons to park a domain name, but these are the most popular. Basically you are going to have some information on the domain instead of it just sitting there blank. You don’t have to do any work to get this information on the site and you don’t have to worry about people finding and seeing nothing is there. This is a great alternative to putting up an “under construction” page, which can become very annoying to visitors. If you plan to develop many domains in the future and you want to purchase them now for a bulk discount or to take advantage of a coupon you have, then you want to park them until you are ready to use them. This is relatively inexpensive, and it’s a good way to make a little money while you are working on other projects. When you park a domain name you will be able to convert sales very easily because of the targeted ads placed on the domain name. The best part is you don’t have to do anything in order to get these sales except own the domain name and park it. 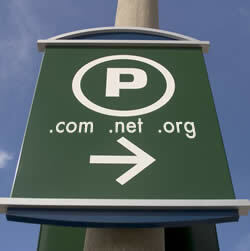 The major reason to use domain parking while you are waiting to develop the site is for income. The domain name does you no good if it is just sitting there empty. You need to be making something from it and many domain parking companies will offer you a nice percentage of the profits they make. Even if this just covers your expenses it is better than losing money on a domain you are not ready to use. Parking a domain is very easy and you will not have to spend hours upon hours trying to set up a website to make a little money. All you have to do is sign up with a domain parking company and let them do the rest. Since you own the domain name and you may be using it for a website in the near future you don’t want to commit to a year of parking or even longer. Most domain parking companies have no contract and you can work with them on a day to day or month to month basis. 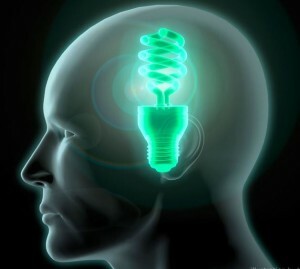 This gives you the ability to move or develop the domain whenever you are ready to do so. Since there will already be traffic coming to your domain with parking your domain will become more valuable to you when you are ready to use it. The search engines can find a parked domain and will actually index it. This is not the case if you just leave it blank. With domain parking you can literally set it up and forget about it until you are ready to develop the domain. You just sign up for an account and let the company parking your domain do the rest. The final thing you benefit from with a parked domain is that anybody across the world can find your domain and access it. Considering you may only pay a few dollars for your domain name you may be thinking parking it is going to be a waste. What if you spend 10 minutes signing up for a domain parking account and you end up making 5 times what you spent on the domain name. This would make it worth it and you can make much more than this. It is a good way to start generating some revenue right away from any domain name and it is a solid way to start getting some traffic. When you decide to develop the domain name you can go directly from parked to live and the traffic will still come in. There are only benefits to using domain parking. DNS hosting is short for domain name system hosting, which is used by many of the domain name registrar sites. This is where you keep your domain name until you get your own hosting to use for it. There are other types of DNS hosting as well, which are free DNS hosting and Dynamic DNS hosting, which are much different from each other. With some of the companies that offer DNS hosting you have the ability to modify or even create DNS records for your domain name and with others you do not. It just depends on the service and what they are willing to allow you to do. Not all of these services will give you the support you really need and not all of them support a large amount of DNS records either. Many times you can get free DNS hosting that will provide you with what you need for second level domains that are currently registered with other sites that don’t give you free or flexible DNS hosting. These free services will often support TXT, NS, MX, A, and CNAME records, which allows you to do many things you may not be able to do with other services. BIND is a type of DNS hosting that is used most for experimentation. BIND serves as the base with DNS protocol extensions for the implementation of a DNS server. This is a completely free system and this type of DNS hosting is also ported to many different operating systems. It is available for Windows and functions with some of the variant UNIX systems as well. 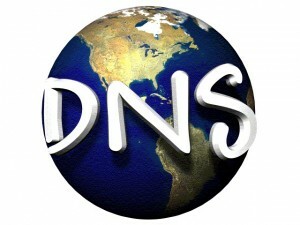 The NSD DNS hosting is a very simple type of hosting and it is not going to be hard to explain at all. It stands for Name Server Daemon and it is known to be very high performing. This system is a very dynamic system that operates as an open server. This means you can customize it to do whatever you want it to do. If you are using UNIX, then MyDNS is the free server for this system. You do not have to worry about the inclusion of a resolver library or a recursive name service either. This is a design that is set up for optimum organization with many zones and resource records. It also has long to carry out dynamic tasks on the DNS data. The RBLDNSD DNS hosting is a very small protocol daemon and it is exclusively designed for Name-Listing services and for DNS based IP listings. This is not for everybody and it only addresses problems with these two things. The abbreviation is for Name Server and Authoritative Name Server and these are commercial servers. This is meant for organizations and it is going to perform at the maximum levels. It is from Nominum and it is a preferred type of DNS hosting. Knowing a few things about DNS hosting and a few types can help you to sort out this mess when you need this type of hosting. It is not something that you always want to be worried about, but when you know that DNS is a translation service to make computer names readable for humans, then you have a bit of an idea of what it is for. The major thing you need to know about DNS hosting is how to change your DNS servers. This is what you will typically do when you purchase a domain name and your hosting is not with the same company you get it from. This is not a hard thing to do, but before you do it you will want to make sure you have the hosting you are trying to get. You do not want to get free hosting like the Google web host and you do not want to go with the cheapest website hosting you can find either. It is necessary to go with a hosting company from the top 10 web hosts, especially if you are going to be going with a cheaper type of hosting. You will need to figure out the type of hosting you need as well. It is necessary to research the different types of hosting like ColdFusion hosting, the PHP hosting, the Joomla hosting, the Windows hosting, and all the other different types of hosting before you choose. Getting the right hosting for your project is very important and once you have the right hosting you can work on changing your DNS servers. So to change your DNS servers you will need to log into your current hosting account and get the name servers that you have for your hosting. This is going to be information you are going to enter in the name server section of the registrar you purchased your domain from. They have a domain name management section and you just simply change them in this control panel. It is very easy to do this and for most people this is going to be the only thing they do that involves DNS hosting. You will not have to worry about it for much of anything else and it will only take a couple of hours for your domain name to be set up to be used with your new hosting. This is all you need to know about DNS hosting.